Cable giants have taken legal action in Federal Court against five Canadian vendors selling loaded Android boxes, which can be used for piracy. The cable companies have already won a temporary injunction, but that could be just the beginning. 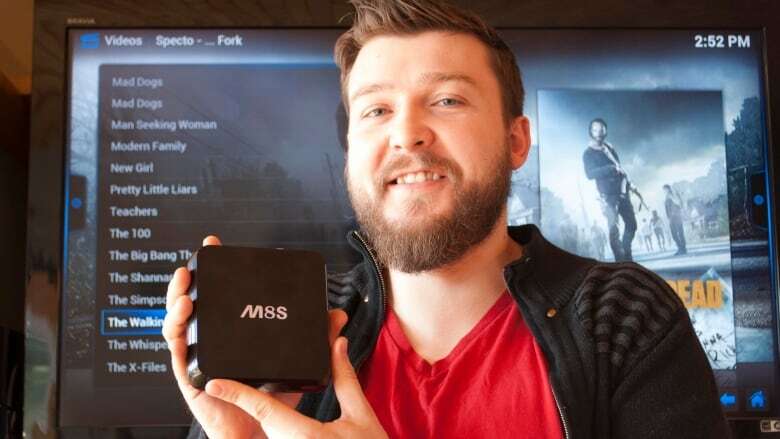 Some of Canada's cable giants are trying to shut down the loaded Android box business. The ads are enticing: The promise of "Free TV" and the chance to "Say goodbye to cable bills forever." So it's no surprise Canada's cable giants are targeting upstart dealers selling loaded Android TV boxes. The devices enable users to access pirated content with ease for a one-time fee. Bell Media, Rogers Communications and Quebec's Videotron have taken legal action in Federal Court against five Canadian vendors. The cable companies have already won a temporary injunction to stop the defendants from selling the boxes. A source close to the case says he already knows of a sixth company that has been added as a defendant. "I think they went after those five because they could get a quick injunction," he said. "Then they're going to widen it across the country to shut it down as best they can." The boxes are similar to Apple TV, but they use the Android operating system. Vendors can load them with special software that provides easy access to pirated content online. Customers can attach the boxes to their TVs and stream a vast array of unauthorized movies, TV shows and even live broadcasts, sometimes eliminating the need for cable. "We even got rid of Netflix," loaded Android box customer Jenna Galloway told CBC News earlier this year. The Cole Harbour, N.S., resident said she uses the box to access all her favourite shows, including Call the Midwife and The Walking Dead. The loaded boxes can be purchased online from sites such as Amazon for a one-time fee ranging from $40 to $250. They're growing in popularity in Canada and across the globe, making them a target for cable companies. The defendants named in the Federal Court case are MtlFreeTV, iTVBox, Android Bros Sales, WatchNSaveNow and My Electronics. 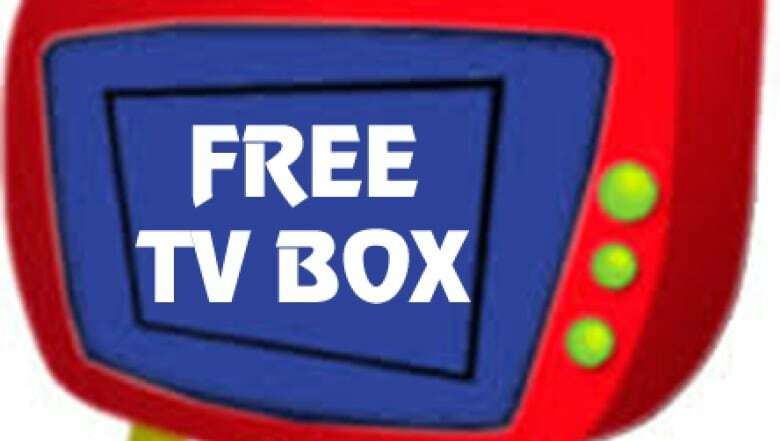 According to the injunction ruling, they promoted their boxes as a way to watch TV without paying for cable. Android Bros in London, Ont., for example, advertised that customers "can 'cancel cable today' and still watch all of their television programs for free." Bell, Rogers and Videotron alleged "there is a serious issue to be tried" due to "copyright infringement by the defendants." They also allege the businesses are selling devices intended for illegal purposes. They argued the defendants should halt sales of the loaded boxes during the legal proceedings because continued sales would cause "irreparable harm" to their business. The cable companies claimed "piracy is one of the top causes for declining subscriptions for television services in Canada." Only one defendant, Quebec-based MTLFreeTV, appeared at the injunction hearing. Owner Vincent Wesley argued the loaded boxes are nothing more than "a piece of hardware" loaded with software that's freely available to the public. The judge didn't buy the argument, and agreed to a temporary injunction to halt sales. Judge Danièle Tremblay-Lamer of the Federal Court in Ottawa ruled the defendants "deliberately encourage consumers and potential clients to circumvent authorized ways of accessing content." Wesley's lawyer, Constantin Kyritsis, said his client will appeal the injunction. He said the Android boxes are like "iPads, Apple TVs or computers," which can be used for both legal and illegal purposes. Indeed, customers can also use the Android boxes to stream legal content such as Netflix shows with a paid subscription. "The vendor doesn't control or authorize what users do, or what software providers enable users to do," Kyritsis said. Five Canadian companies have been temporarily prohibited from selling fully loaded Android boxes. Defendant Android Bros Sales told CBC News it will abide by the ruling. Rogers, Bell and Videotron all welcomed the decision. "This is a case of obvious piracy and the court made the right decision," Rogers told CBC News in an email. Bell said TV providers "invest hundreds of millions of dollars each year" to offer television content to Canadians. "Enabling free and illegal access to copyrighted content with these boxes negatively impacts the entire Canadian content production industry," the company said in email. Rogers, Bell and Videotron also argued that every loaded Android box dealer — even those not named in the case — should be banned from selling the device until the issue is resolved. The judge disagreed but ruled that more defendants could be added to the case. CBC News' source close to the matter said he believes the cable companies may not be interested in a trial and are instead trying to shut down the business by temporarily halting loaded box sales. "They're trying to eliminate the market by getting these injunctions." He said it would be hard for the plaintiffs to quantify the damages in a trial. "They don't even know if they could get damages." In court documents, the judge said it's unlikely any of the small companies named as defendants would have the financial resources to compensate the plaintiffs for any lost revenue.